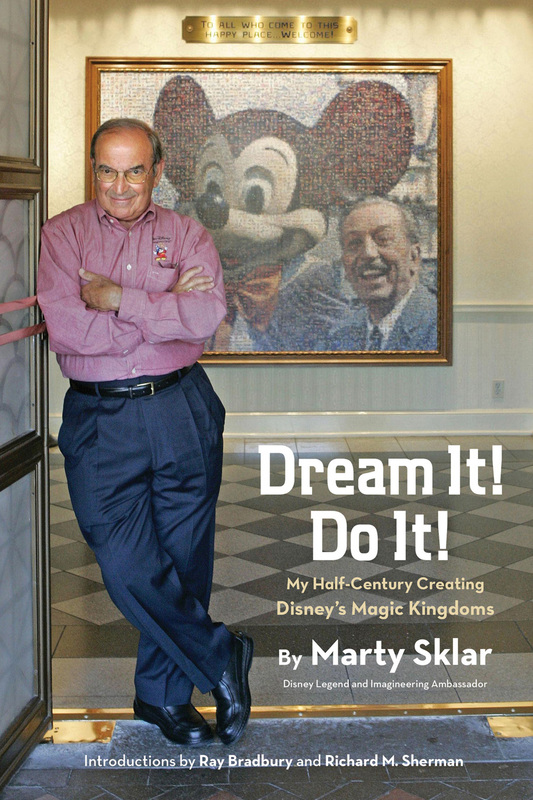 During his 54-year career, Sklar was involved in all facets of the theme parks – from concepts to design to operations. 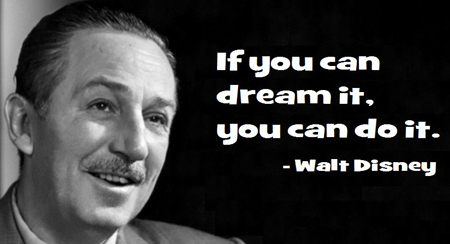 Along the way, he developed, refined and practiced key principles of leadership based on what he learned from Walt Disney and other Disney Legends, especially designer John Hench. 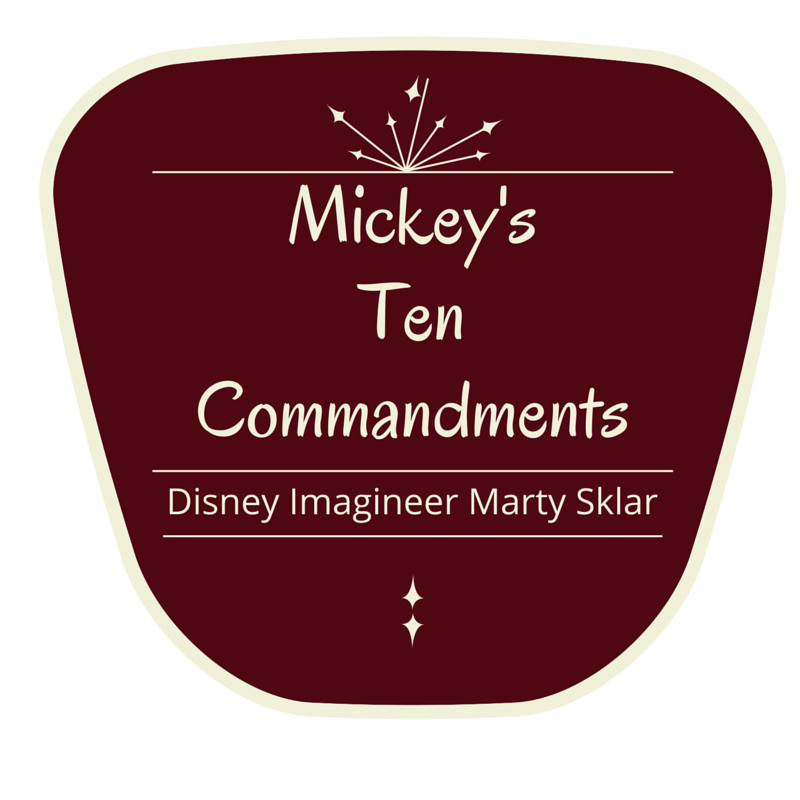 He crystallized these “learnings” into the first of what he called Mickey’s Ten Commandments. Exceeding Guests’ expectations is Disney’s Guest Service strategy, and paying attention to every detail is the tactic by which it is accomplished. Retired Disney Imagineer Mary Sklar had a remarkable 54-year career with the Disney organization. His work covered many areas of the organization, but focused on Imagineering, the group Walt created that blended creative imagination with technical know-how. Create and maintain a climate of trust. Be responsive and make decisions – that’s what leader’s do! Empower your teammates – it takes many hands to bake a success. Create opportunities for new birds to fly. Remember: experience is not a negative. Make sure yours is not the only voice you are listening to. Celebrate diversity and different points of view. Never rest on your laurels – the next at-bat is your most important. Take a chance – support risk-taking. Provide plenty of blank paper. Be optimistic – if you are not positive, who else will be? Courage and confidence are major cross streets on the road to success. Make curiosity your search engine. Learn to love you next assignment – be passionate about whatever you do. Provide time to explore – but deadlines are great motivation and discipline. Take time to teach – mentors are mensches. Forget the politics – it’s not an election! Traditions are important – but change is the great dynamic. Remember: the last three letters of trend are E-N-D! …they will be pretty good for leaders in your organization, too! Designing the Guest’s experience is what Walt Disney’s Imagineers came to call “the art of the show,” a term that applies to what the Imagineers did at every level, from the broadest conceptual outlines to the smallest details, encompassing visual storytelling, characters, and the use of color. Today is eighth and concluding session of Summer Term II of the 2013 GsD program with Applied Guestology 201, a review of some of the leading organizations who deliver exemplary Guest Experiences with application to ChurchWorld. As I conclude this brief look at Applied Guestology 201, it’s only fitting to come full circle to where we started: Walt Disney and the worlds he created. The Imagineers design intention is always to give satisfaction to the guest. For the Imagineers, that meant considering everything within and relating to the parks as design elements. To build effective story environments and assure Guest comfort, the designers realize that they always had to assume the Guests’ position and point of view, and just as Walt did, to take the Guests’ interests to heart and defend them when others didn’t think it mattered. To design most effectively for Guests, the Imagineers learned that they had to observe them up close, waiting in lines with them, going on attractions with them, even eating with them. The Imagineers paid attention to Guests’ patterns of movement and the ways in which they expressed their emotions. They were able to get an idea of what was going on in their minds. Really? If you are involved in Guest Services at your church in any capacity, and can’t see the immediate and powerful application of Mickey’s Ten Commandments to your own Guest Services process, may I kindly suggest you are serving in the wrong ministry area? “Be Our Guest” has been the invitation to Disney visitors long before the song from Beauty and the Beast became a box office hit. It underscores an important element in the Disney vocabulary, that customers are not referred to as such, but rather as Guests. 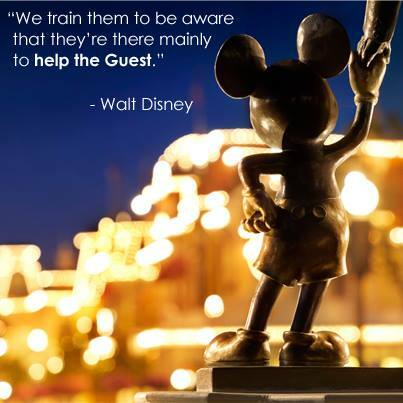 In the Disney nomenclature, the word “Guest” is capitalized and treated as a formal noun. The obvious analogy is that we do things differently when we bring Guests into our home. We clean up the house. We dress up. We prepare something special to eat. We host them. We take care of their real needs. At Disney theme parks around the world, they expect Guests – and plan to exceed their Guests’ expectations every time. What about you?